At the end of 2016 I was out of the U.K exploring the South Eastern coasts of Mexico with Ice Lolly. It was one of the most memorable weeks of 2016. 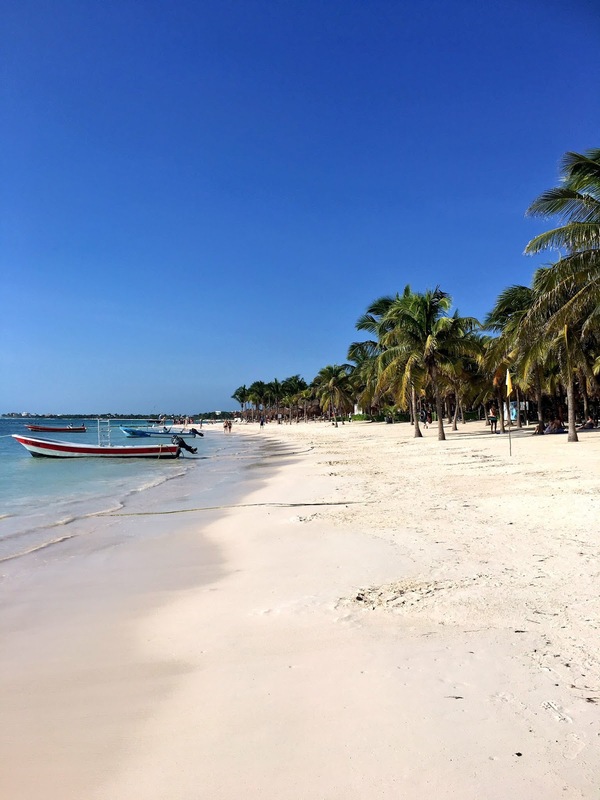 I've rounded up my favourite activities to do whilst on a weeks vacation, so if you're interested in my top picks for Mexico, keep reading! If you are staying in the Rivera maya area, make sure you head to this beautiful little spot to have a snorkel. I stayed in Akumal almost 4 years ago, it's one of the more quieter spots along the coast in comparison to Tulum & Playa Del Carmen. People come to this quiet coastal town to snorkel with turtles in the beautiful sea here, the beach is wonderful too if you're not one for snorkelling! I would personally recommend coming to Akumal early in the morning, maybe around 8am, before it gets crazy busy with the snorkel tours. My first stay in Mexico was in this small coastal town, although it is very quiet, I personally love this area the most! After 2 visits to east Mexico now, I've visited the main Mayan ruins, such as Ek Balam, Coba, Chichen Itza & Tulum. 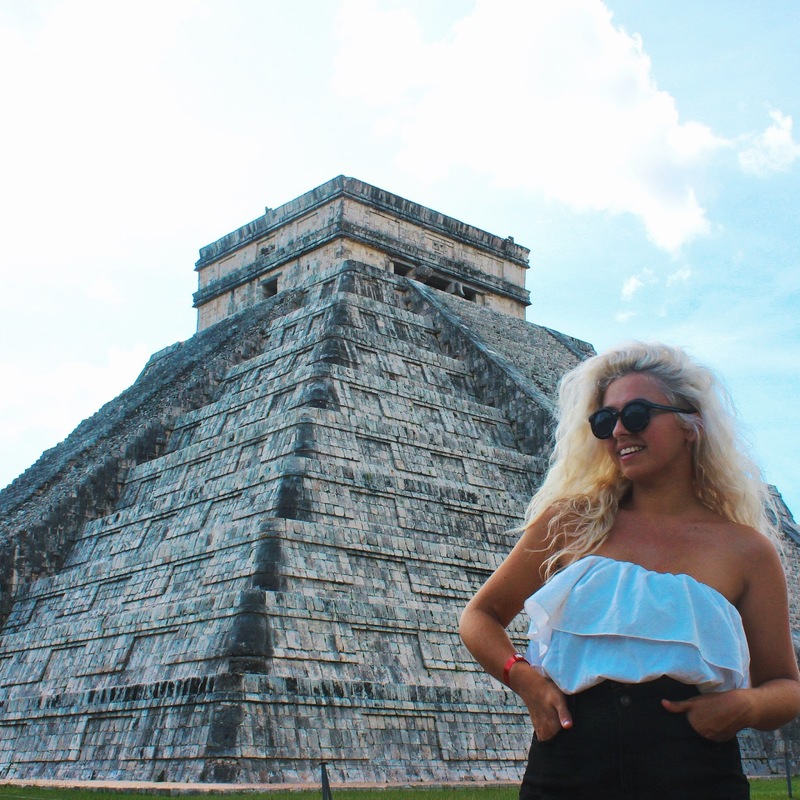 Though Chichen Itza may appear to be the most popular since it's one of the 7 modern wonders of the world, I actually enjoyed the other visits a lot more. Chichen Itza is a rather small site in comparison to the other ruins, & don't expect to be the only ones there either. It gets pretty packed here, especially when it reaches the peak of the day. My favourite ruins has to be Coba. 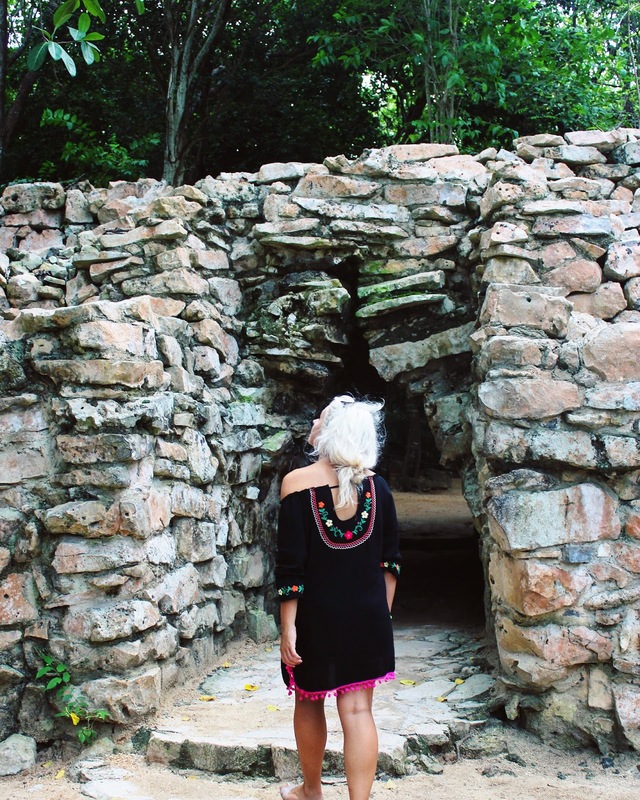 The Coba ruins aren't as far as Ek Balam & Chichen Itza, which is great for those not wanting to travel out too far. 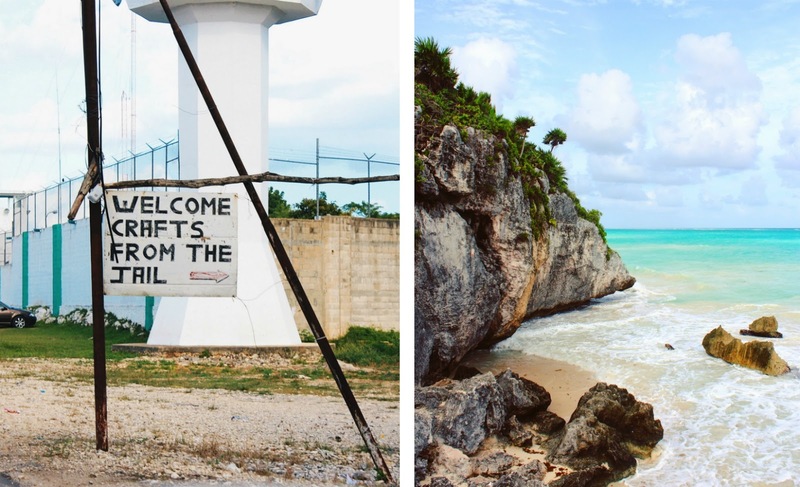 Coba is roughly an hours drive from Tulum. 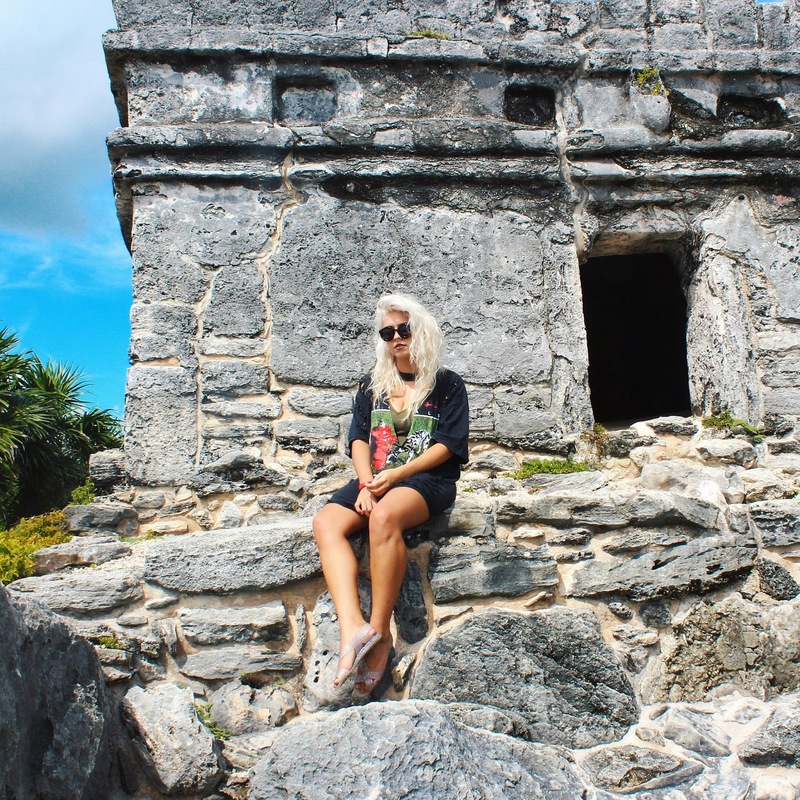 If you're wondering how me & Jack got to Coba and Chichen Itza without paying the ridiculous fees, make sure you keep on reading until the end. P.s you can climb Coba too! In comparison Chichen Itza where you are forbidden to climb, you can tackle a heart wrenching climb to the top of Coba. It is a really rewarding experience when you reach the top, just don't look down half way whilst climbing like I did! Mexico has as estimiated 6000 cenotes, with less than half that have been explored. These sinkholes are pretty much everywhere, and some are well worth a visit. There are a lot cenotes that don't charge entry to swim, you will see many on your high way journey. Some of the more famous ones such as, Ik Kil cenote (near Chichen Itza) are definitely worth the visit in my eyes. Even though Ik Kil was incredibly busy, I loved my experience there. 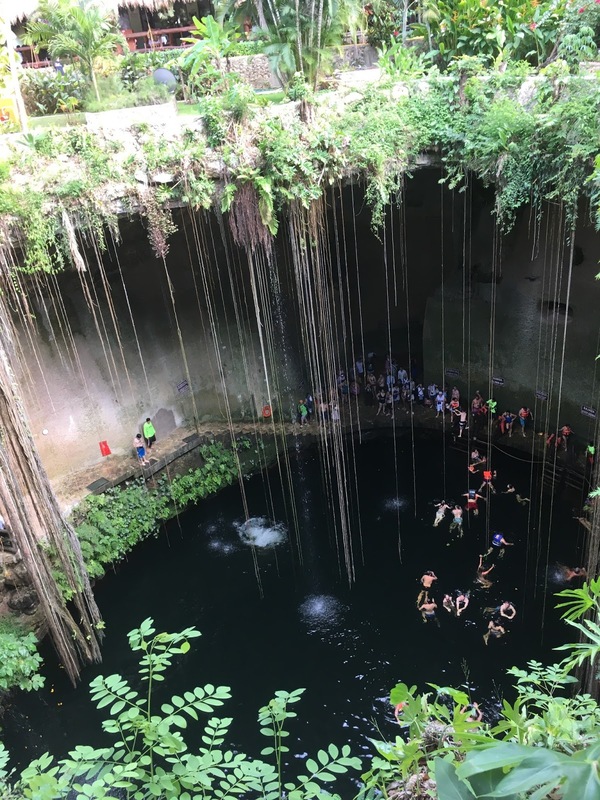 This cenote WOW'd me the most, since it is a rather small cenote, but is roughly 130ft deep, hence why you won't be able to see beneath you (don't let that scare you though!). 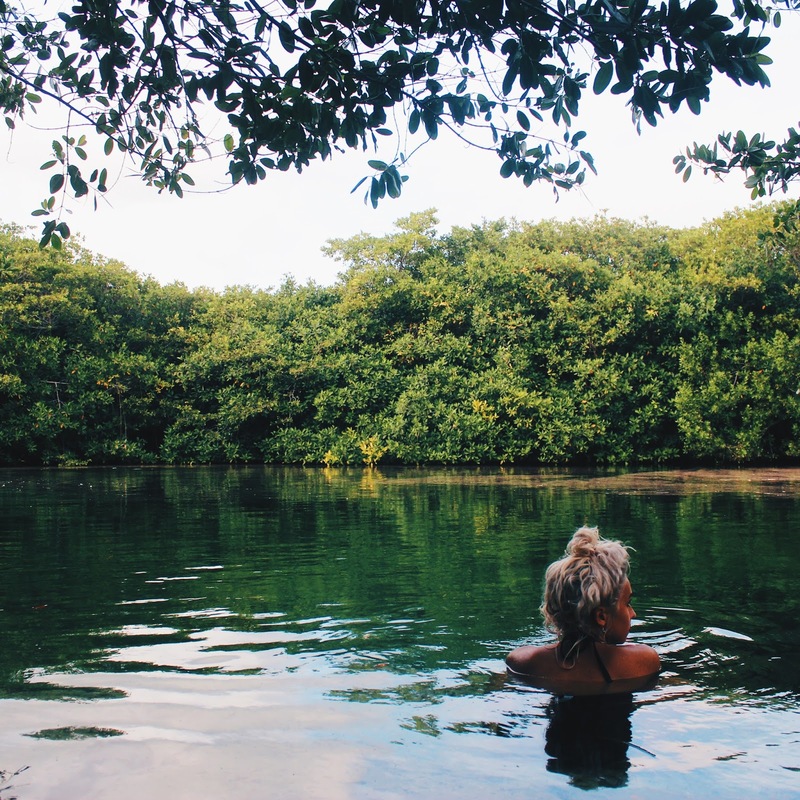 These cenotes are incredibly refreshing, they make the perfect end to a long day exploring! You've spent the money to be there, so don't neglect it! This was my first time ever staying in an all inclusive resort, so this was a real treat for me & a completely new experience! I definitely enjoyed the fact we spent half the week really relaxing at our resort (as well as eating a LOT). Resorts of this size often have a lot of activities going on! I was gobsmacked when I saw the amount of daily activities lined up throughout the week, whether yoga or DJ-ing is your thing, or maybe key chain making with the kids, there's a lot of varied options to cater for everyone. Mexico, the home of delicious food. Whilst out in Mexico, I was eating a LOT, probably 3-4 times a day (I know, that sounds crazy right? ), but when you have fresh guacamole & hot baked tortilla chips on tap, it's hard not to say no. As I mentioned earlier, I had never been to an all inclusive resort before- so I definitely took advantage of the unlimited food! Maybe your resort doesn't have an all inclusive option? I recommend eating out in Akumal. There's some absolutely stunning spots to take advantage of there. A personal favourite of mine is La Buena Vida, the atmosphere is awesome. This is a gorgeous spot for eating authentic Mexican cuisine, as well as watching an amazing mariachi band perform in front of you! I'm SO glad that we ended up renting a car, just for a few days! This gave us the freedom to explore wherever we wanted to, whenever we wanted. Me & Jack headed into the centre of Playa Del Carmen one afternoon, to check it out & have a wander! We were also keen to spot some great tour prices. After spotting a tour company we had been recommended, we thought it made a lot more sense to rent a car from them instead. It worked out to be a quarter of the price, compared to booking 2 separate day tours instead. The roads are easy to drive in Mexico, they're very spacious, straight forward, and well equipped with signs. Renting a car, meant we could explore in depth a lot more, with limits on time either. We visited Tulum, Akumal, Coba, Chichen Itza & various other cenotes during the 2 days we had the rental for. For a total of $100, I'm not complaining! 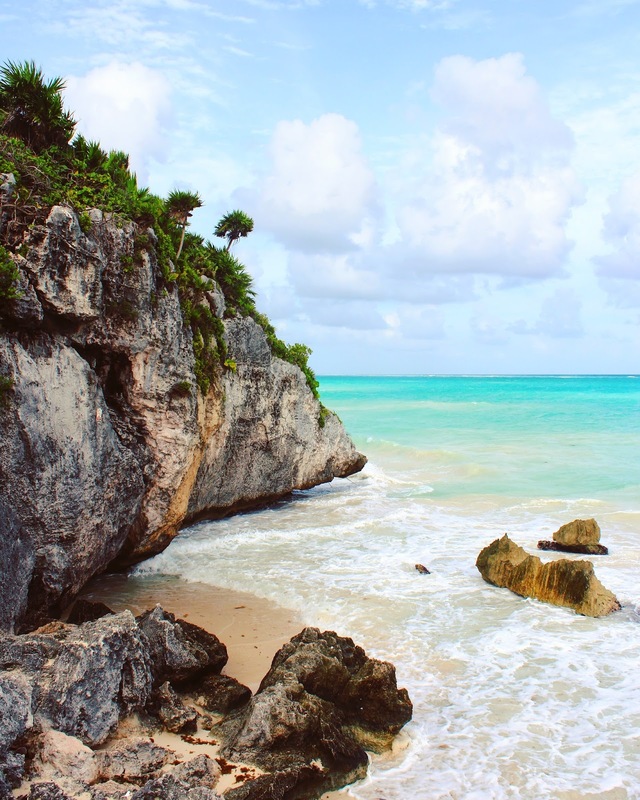 I really hope that you enjoyed reading about my personal top tips when exploring Quintana Roo! This honestly looks like the nicest place! It looks quite peaceful too! Definitely need to visit Mexico one day!